Obituary for Robert Archibald Norton, Jr.
Mr. Robert Archibald Norton, Jr, 82, of Elizabethtown, KY, died at his residence on June 23, 2018. Mr. Norton was a native of Baring, Missouri and the son of he late Robert (Sr.) and Maude Norton. He was an Elder with the Radcliff Church of Christ. 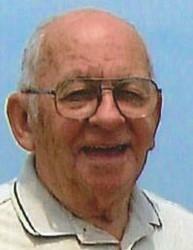 Mr. Norton was a U. S. Marine Corp veteran and a former Systems Analyst for Wilson's. In addition to his parents, he was preceded in death by two brother, Donald and Dale Norton and one sister, June Norton Farris. He is survived by his wife, Judith Norton of Elizabethtown, KY; three sons, Vincent Norton (Naomi), Travis Norton and Jared Norton (Shana) all of Elizabethtown, KY; one daughter, Sherry Brashear (Ricky) of Elizabethtown, KY; one sister, Jewel Brown of Memphis, MO; 11 grandchildren and one great-grandchild. Funeral service will be held at 11:00 am on Wednesday, June 27, 2018 at Radcliff Church of Christ with Elder Michael Golwizer officiating. Burial will be 11:00 am on Friday, June 29, 2018 at Kentucky Veterans Cemetery Central with military honors. Visitation will be from 5-8 pm on Tuesday, June 26, 2018 at Radcliff Church of Christ. We will miss you uncle. I am so sorry for your loss. I am unable to make it, but I will be thinking of you. Sending my love and prayers. Judy, I am so sorry for you're lose. Uncle Bob was a great man, and I was so excited when I knew you guys were coming back to Granddad,& grandma's. He is going to be missed by everyone. God bless, & keep you close during you're time of need. Miss& Love you.